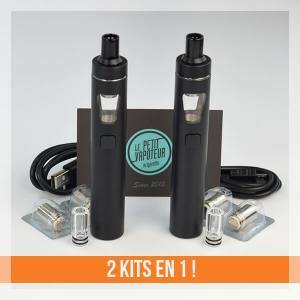 Ego Aio from Joyetech is a kit for beginners in vape. 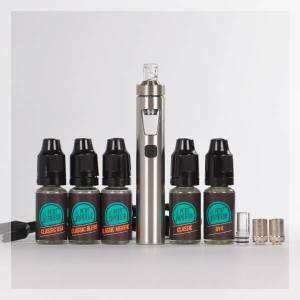 The kit Ego Aio, discreet and compact, is a vaporiser which is inclusive of a powerful battery, intergrated with a clearomiser with good factors. Gracious to the new generation airflow, no leaking of e-liquids is possible and the closing system has child protection security. 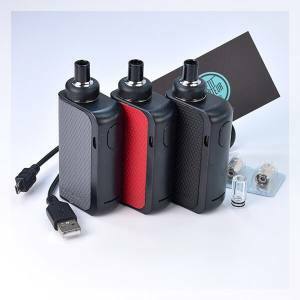 The Ego Aio comes in different formats, D22, D16 with the same box. 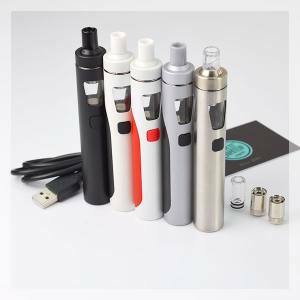 The Ego Aio Kit is a reference in material of the Electronic Cigarette. Very simple to use, the Ego Aio Joyetech range is convenient for all beginners in vape. The Ego Aio Electronic Cigarette is compact, discreet and can be carried everywhere to be vaped in all circumstances in all occasions, the Ego Aio Kit aswell as all the Joyetech Range. 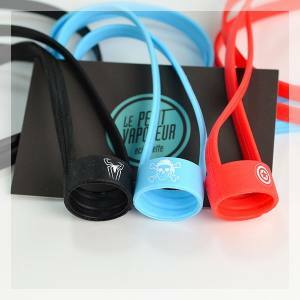 Founded in 2007, the Joyetech Brand has rapidly imposed amongst the leaders of the Electronic Cigarette. Always performant and innovative., Joyetech offers an intense moment in vape of great quality. The Ego Aio Electronic Cigarette, as a whole and the accessories benefit with an experience of quality and complete technology by Joyetech. Vapers will not be mistaken and will definitely adapt with this brand of the Ego Aio Electronic Cigarette, Accessories and its E Liquids.